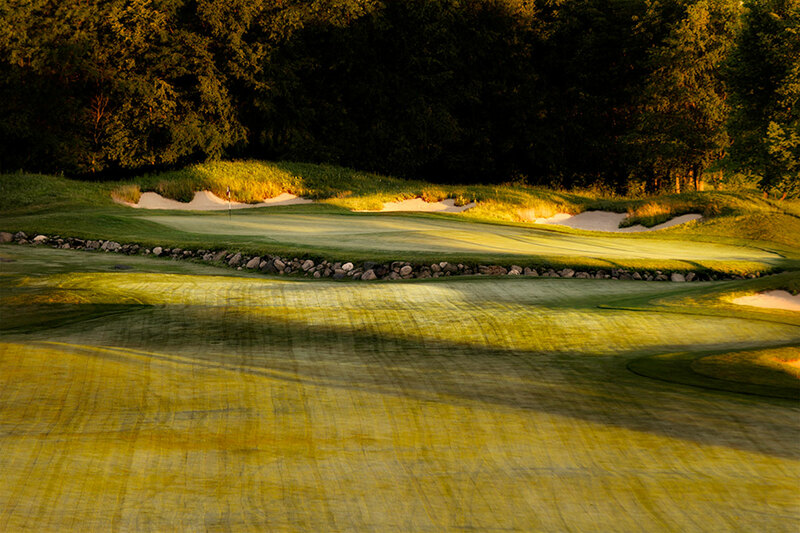 This is an HDR (high dynamic range) image of the 9th hole, as you approach the green. It is a par five that is 579 yards when played from the back tees. From the far forward tees it is only 372 yards. HDR images are created using multiple exposures of the same image. The human eye can see a broader range of light and dark than cameras can capture, by combining multiple images with the assistance of HDR software, we are able to more closely approximate what the human eye can see. In this case, a rising sun, and at the same time the inside lip of the bunker, which is a wide range from light to dark.